Well, the Muse was unsuccessful contacting the Balm today. They just aren’t picking up the phone or they are screening their phone calls and see “the Muse” on their caller id and refusing to say hai! But…the good news is that Sephora has updated it’s site and the Balm Mary Lou Manizer is making an appearance…does this mean Cabana Boy is soon on his way? 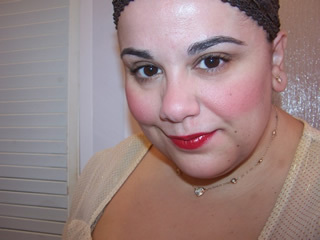 Check out Mary Lou Manizer while we wait for him! 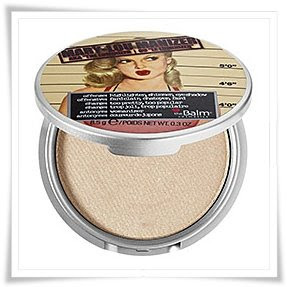 The Balm Mary Lou Manizer ($22) is a pressed powder that can be used as a highlighter, shimmer, or shadow. It highlights with a subtle glow to soften fine lines and add a touch of soft shimmer to face, cheeks and eyes. Use it as an all over finishing powder or to highlight certain areas of your face or simply sweep it on lids for a hint of sparkle! Likey but can we please has Cabana Boy now? the Balm Cabana Boy Returns to Sephora Everyone Rejoice!